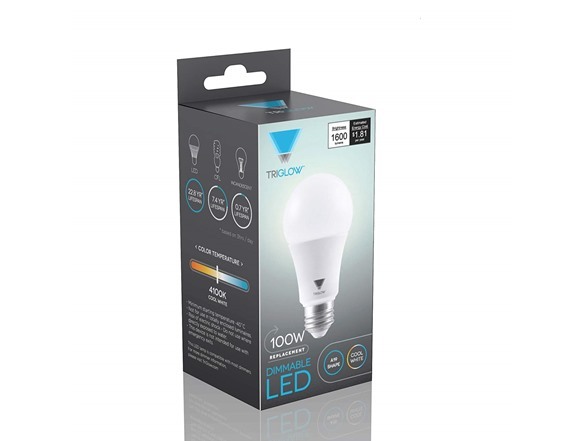 The TriGlow LED A19 bulb was created using the latest LED technology available and features cutting edge designs. 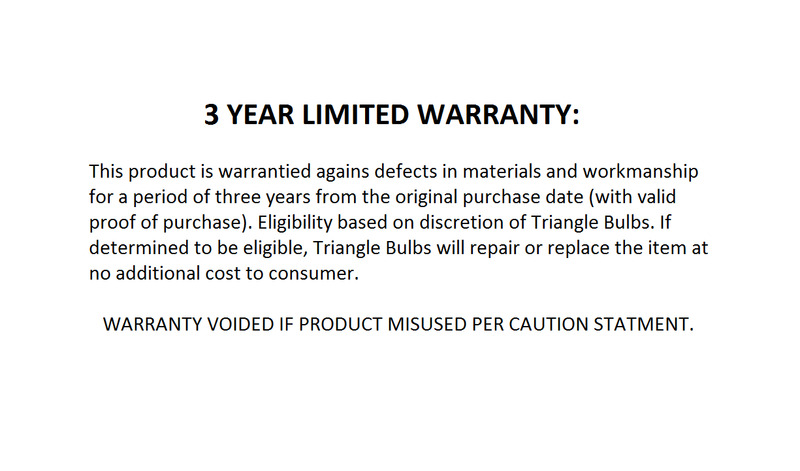 Save money on your yearly energy costs with this bulb; 15 watts will replace your 100 watt incandescent equivalant. 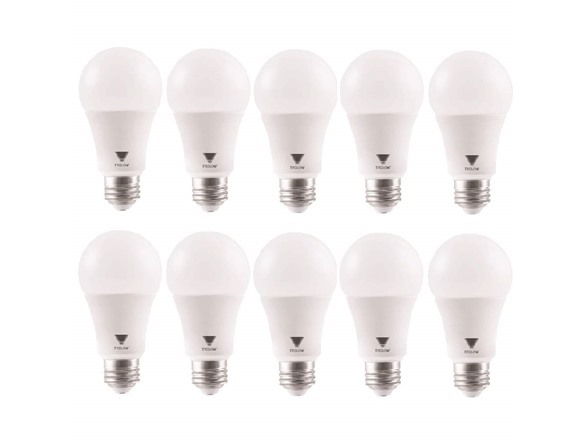 These bulbs have elegant and overall classy look, giving your room a great warm color and a perfectly balanced ambiance. 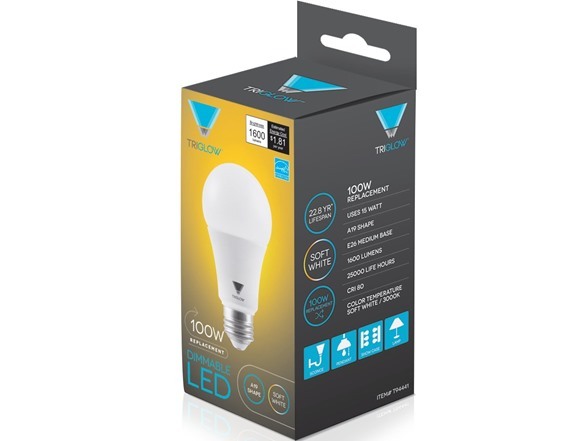 This LED bulb is solid-state, shockproof, and vibration proof; making this one of the safest and most reliable of options when it comes to LED technology. 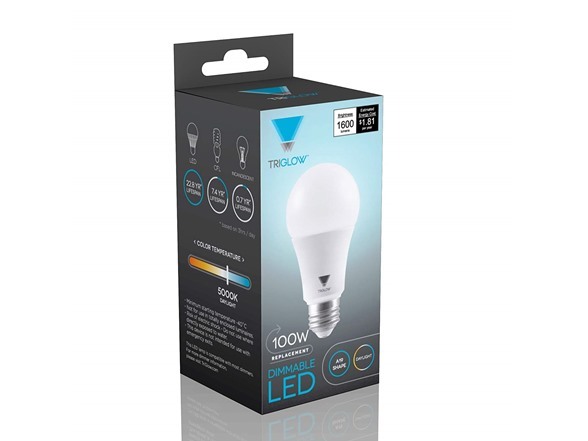 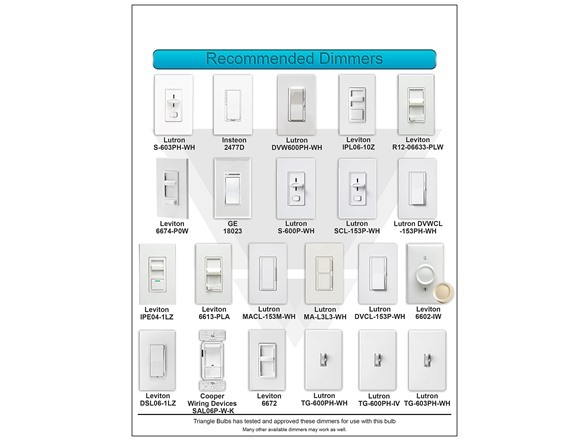 SAVE MONEY: 15 Watt bulb replaces 100 Watt incandescent equivalent, saving you 85% in energy costs! 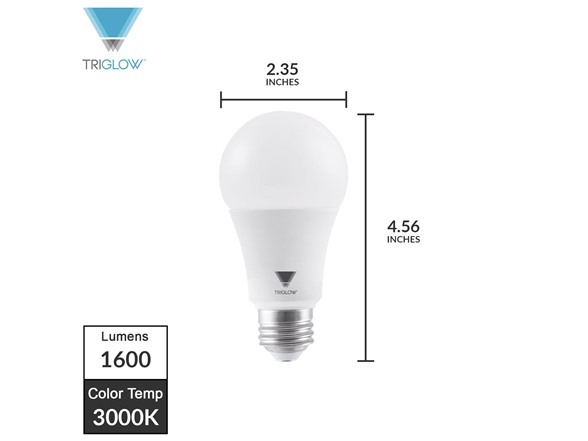 BRIGHT COLOR: this bulb has a soft white glow (3000K) with 1600 lumen output to provide an extra bright atmosphere!